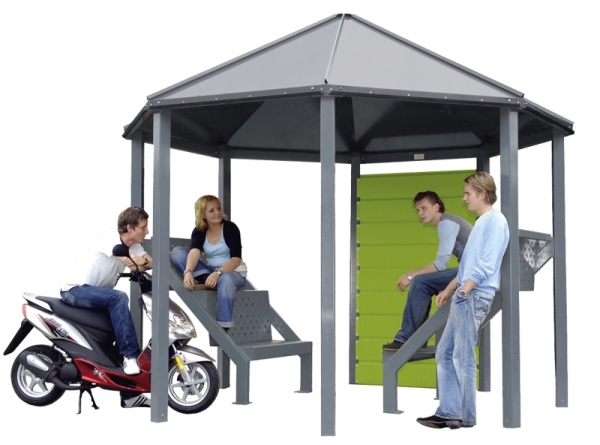 Description: The Meeting Point enables young people to socialize at a spot especially for that purpose. The design is safe, open, and resistant to fire and vandalism. The Meeting Point can be equipped with one or more walls and straight or sloping seating elements, and is available in a variety of colours. This means that it can easily be adapted to suit the environment and young people’s requirements.